Finding a truly dairy free coffee creamer that doesn't contain the dreaded carrageenan or gluten and that actually tastes good while having the right texture has been a difficult journey. However, I finally have broken the code thanks to Deliciously Organic! I have tried both the Almond Joy and Cinnamon Streusel flavors so far and have found them to both be delightful. Now that I have basically followed the recipes I plan on experimenting with flavor combinations. I do feel that it is important to use the Thai Kitchen brand of full fat coconut milk when making these creamers as this brand is super thick and creamy which plays a role in producing a great end product. 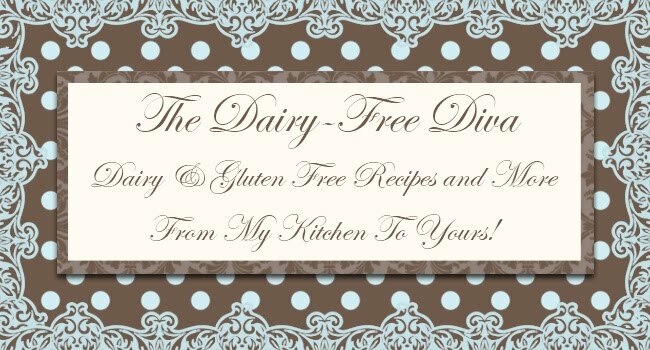 Check out their post for Dairy Free Creamers here as there are a few other flavor options listed! Here is what I did using the basic directions from Deliciously Organic for Dairy Free Creamers to make 2 flavors of creamer from a single can of coconut milk. Place the dates in the food processor and start it. Stream in the hot water and continue to process until smooth. Heat the coconut milk and cocoa powder over medium heat until steaming. Be sure to whisk the entire time to prevent scorching. Take off the heat and whisk in the date paste and almond extract. Strain through a fine wire sieve. Store in an air tight container in the refrigerator for up to one week. Oh my gosh these sound really delish! Such a wonderful solution for gluten free diet need. Will be sharing this for sure Stephanie! Thanks :) I love these creamers! Simple to make too. 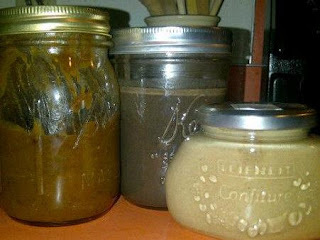 How great that you are able to make your own creamer. We don't need coffee yet, but I will remember these when my little one gets older. How long do these last and how should I store them? I am not sure where you're getting your info, but great topic. I needs to spend some time learning more or understanding more. Thanks for fantastic information I was looking for this info for my mission. For gluten free, calorie, carb and fat free coffee flavors, try Inbru Coffee Flavors. They have 19 flavors and they last a year!